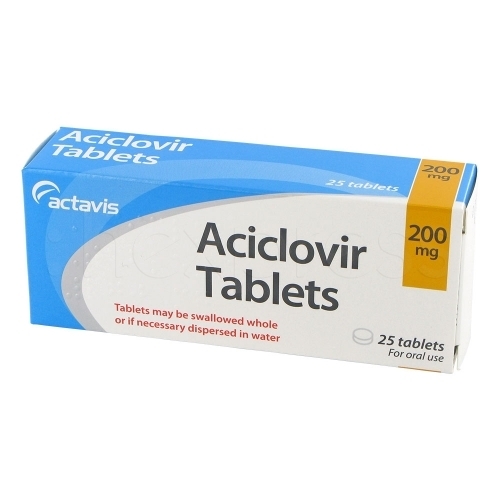 Aciclovir treats a range of infections associated with the herpes simplex virus and varicella-zoster virus. It is one of the most common antiviral medications used to treat genital herpes, cold sores, shingles and chickenpox. By using Aciclovir it will help clear up the infection compared to using no medication at all. When taken correctly patients’ with acute infections and recurrent symptoms improved rapidly. Aciclovir has been shown to be 99.7% effective in people with herpes infections. Aciclovir helps minimise symptoms associated with a range of infections. It will reduce the severity of an outbreak and help clear up the infection faster. Aciclovir is more effective when taken just as you start to feel or see an outbreak occur. 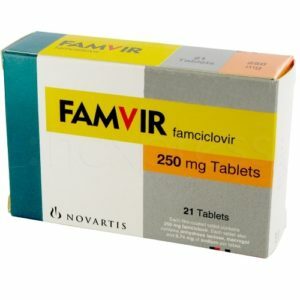 How do I take Aciclovir? Aciclovir comes in tablet form, oral suspension, cream, liquid for intravenous injection, or eye ointment. The dispersible tablets are dissolved in a glass of water. Oral tablets can be taken before or after eating. The cream can be applied several times daily directly to the infected sores. Make sure when taking the medication daily to drink plenty of water as this medication can cause dehydration. In most cases Aciclovir is taken for 7- 10 days to reduce symptoms. Your doctor will prescribe the correct dose and duration depending on the condition being treated. All medications have side effects associated with taking them. However not everyone will experience them. 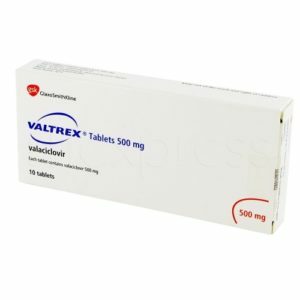 How do I buy Aciclovir online? Buying Aciclovir is very simple. First you will need to fill out a free online consultation. This is a simple process that replaces the face-to-face consultation you would normally have with a doctor for a prescription medication. Once you have been approved for the medication, Aciclovir will be sent out to arrive to within 48 hours. 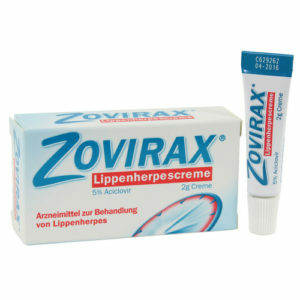 Zovirax is my first choice for treatment of cold sores which I’ve had since I was a young girl. Using it in conjunction with Abreva helps promote healing from within the sores; and eliminates the crusty/scabbing that comes with cold sores. Abreva is best used at the first sign of any itching (that familiar feeling of onset) apply as directed on the bottle, and your cold sore will be gone without anyone noticing you even have one. I am just getting over one and with Abreva alone it took three days, no scabbing or crusty formation making it unsightly and causing embarrassment. I was prescribed this medication a few months ago and I absolutely love it. Whenever I feel a cold sore coming on, I take three 400mg tablets every 8 hours (the recommended dose by my doctor) and it stops the cold sore right in its tracks. If I’m lucky, I catch the cold sore in the tingling stage and immediently take the pills, and that usually stops the cold sore from breaking out. If I do end up getting a cold sore, I keep using the pills and it Speeds up the process and stops the cold sore from growing any bigger. This medication is amazing and I am so glad to finally have found something that actually works, as I am almost 20 years old and have been suffering from cold sores since age 4. I used to get cold sores four or five times a year, sometimes more often (especially when I was dealing with the stress of college). They would appear at the most frustrating times! I tried a bunch of alternative remedies, per the recommendations of friends and family, including L-lysine and tea tree oil. I even found myself putting nail polish remover on my lips (word to the wise: don’t do that). Finally, I explained to a doctor how often I was getting outbreaks and how bad they were, and they prescribed 200mg of acyclovir a day as a suppressant. It didn’t seem to do anything; the cold sores kept coming. Then, another doctor upped my dose to 400mg twice a day. I didn’t get a cold sore for almost five years! Acyclovir 800 tab 4 times a day for 5 days. First pill stopped the cold sore in its tracks it immediately stopped growing with just the first pill. Second day the tingling phase stopped, they erupted, and by the end of the 2nd day they were drying out. I had to stop at the end of day 2 due to this medicine being too strong for my stomach. I ended up with a gastritis flare up, terrible stomach pain, diarrhea and nausea. If it wasn’t for that, this medicine would get 10/10! I got diagnosed with genital herpes last year around september and I got prescribed acyclovir and the initial outbreak was HELL! I was in so much pain with teeny tiny barely visible blisters around private area. But anyways, I started taking the pills, 3 a day and after a couple of days, the outbreak cleared up completely. I feel tingling around my bits like every month, when my period comes on and take the pills and the tingling goes away with a small blister barely noticeable. The pills don’t cure the outbreaks but they do make them bare able and waaaaaaay less annoying. Sometimes you’ll forget completely about it. I got herpes in my twenties and am now 62. Every few years it still flares up, usually from stress. This drug 200 mg 3x per day is a godsend. The blisters clear up almost overnight. No side effects. I’m 25 years old, When I first realized something was wrong was when I felt like I had a cut down on my genital area, I then realized there was a new form of a bump and then the itching came along and the burning sensation when I used the restroom. I decided to see the clinic because i knew something was wrong. She ran tests which I am still waiting for to come in this week, but from what she said, she said it looks like Herpes. She prescribed me acyclovir 400mg this past Monday which was two days ago. I have to take one ever 12 hours. It seems to work for so long, like a few hours, but i am still feeling the pain, and I feel like more bumps have appeared. I’m terrified. I still have burning sensation. I’m 52 married and thought I had a UTI so my Dr was treating me for that, a year later I found out my husband gave me herpes. I had a small outbreak last year but through it was from my new soap and another out break this year. My husband never had a outbreak but tested positive and decided to share he had an affair. This medicine has been a true blessing to me because I don’t have anymore pain or side effects. Now I can concentrate on my divorce. This drug has helped keep outbreaks to a minimum. I rarely, if ever suffer with this horrible disease anymore. I’m 68, and had my first outbreak at age 28. At first I only took the medicine when I noticed the first signs of an outbreak. For me, that was a pain in my upper leg, like I had pulled a muscle. It worked ok, but didn’t completely keep the outbreak from happening. For more than 20 years now, I’ve been taking 400MG’s 2 times a day. Good effective medicine? Perhaps. It could also mean that when I was younger there was more sexual activity and more stress = more outbreaks. I have been on Acyclovir for 3 days following a first outbreak of genital herpes – having never suffered with anxiety or depression, I’ve been crying about an hour after taking each pill. Feeling anxious, depressed , sweating, abdominal pain, short-tempered and very nauseous. Mood swings aren’t in the side effects but they should be, as countless other people on similar forums have experienced the same. I have been taking generic (cheap) acyclovir for 52 years. I am 67 and contracted the herpes simplex while out in the sun at age 15. Consequently, I have not been sunbathing for 52 years and look like I am 50. There have been no side effects and I take this every day–800 mg. When I stop, I get an outbreak. Tried to go off it last year and had 5 outbreaks in 4 months. So now back on. Take it the minute I feel a tingle, 5 a day for 5 days and no problems. But still wear 70 sunscreen. Unfortunately my ex-boyfriend intentionally & knowingly gave me Herpes. The first breakout was horrible, I had to go to the Emergency room. They prescribed me Acyclovir 400 mg 4x daily. It definitely works and it works fast. I had no side effects at all. I always keep it on me and I am to take 200mg 5x daily if I start to have another breakout. I’m 57 and got herpes 35 years ago when I was cheating on my wife. I find that the meds work in 3 days if you take it at the very first sign. I have suffered from genital herpes for 6 years and tried all herbal prevention treantments as I suffer approximately 8 outbreaks a year. For the last 6 months I have tried the acyclovir suppressive treatment and in 6 months I have had 1 very mild outbreak. After the first 4 months I went from taking the recommended 2 tablets a day to just 1 a day. I am so glad I tried acyclovir, I feel I have my life back! At 29 weeks pregnant I had a fever. Thought I was leaking amniotic fluid. Went to the hospital and misdiagnosed with a UTI. Stayed overnight with IVF and antibiotics and checked, monitored and ultrasound before discharged the following day. 24 hours later still not having felt well went back to the hospital and rechecked, water broke dilated to 2 and Dr said she didn’t think of it before, but was going to test and treat me for Genital Herpes. Right after the emergency c section. Been taking this medicine for two years with no outbreaks and no side effects. It’s been life changing.